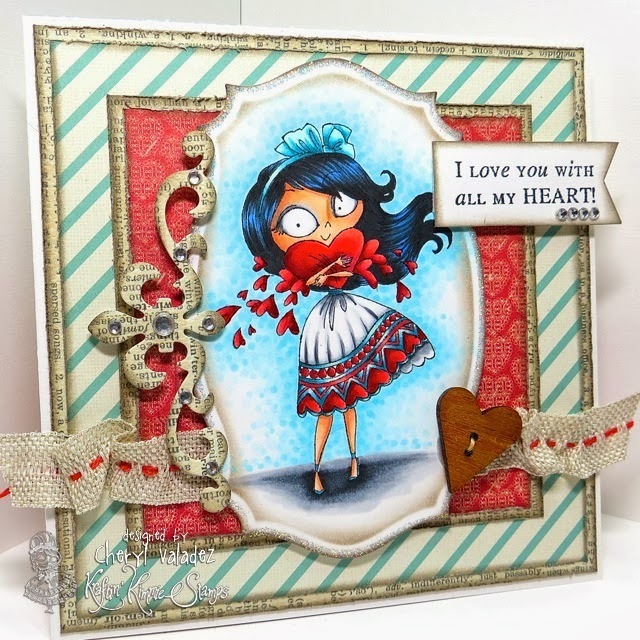 The Ink Trap: Day 4 of November's Peeks at Kraftin' Kimmie Stamps! 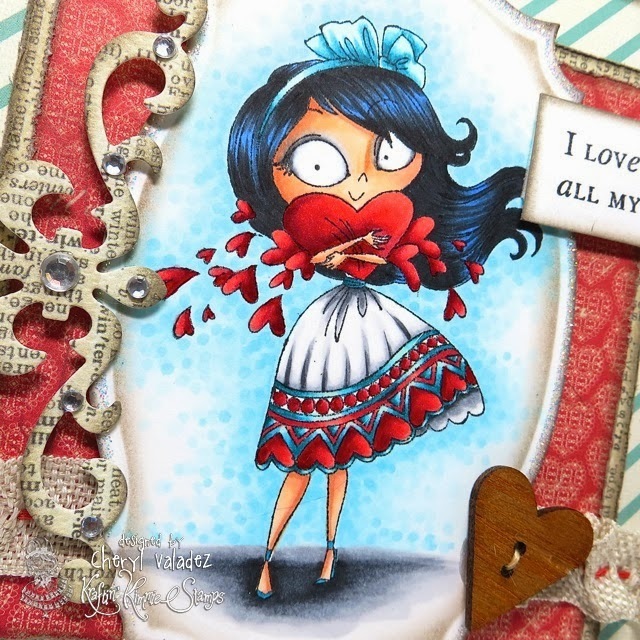 Day 4 of November's Peeks at Kraftin' Kimmie Stamps! Welcome back to Day FOUR of the Kraftin' Kimmie Stamps November previews!!! We are back with some SUPER exciting news.....and some of you may have already heard this through the grapevine....or our teases!! The art of Annie Rodrigue is BACK!!! We've got a fabulous new Moonlight Whispers stamp for you this month and more to come in the following months!!! Today we are previewing the new November stamp PLUS a super cute new set by Nicole!!! Today the Krafty Girls are thrilled to share with you...... HANNAH HEARTS and CANDY HEARTS!! There are lots of amazing creations on today's hop featuring both new stamp sets!! We know you are just going to LOVE these images and be inspired by all the creations!! ALL of our NOVEMBER stamps will be available on Saturday night the Kraftin' Kimmie Stamps Shop!!! We'll be celebrating at our LIVE ONLINE RELEASE PARTY!! It's over at our KKS Facebook fan page! Join us for all the fun!! You can find more details here!! WOW!! The color combo is just amazingly beautiful!!!! What a super card...love the colours and the rich colouring you did...amazing as always. Wow !! Love the new image by Annie too (of course). Thanks for sharing and inspiring me again. Always look forward to your designs... This is beautiful! Holy crapola!!! This is drop dead gorgeous, Cheryl!!!!! You are A-M-A-Z-I-N-G!!!! WOWZERS!!!! this is Amazing!!! I love it all!!! Cheryl, this is adorable and your coloring is fantastic! CHERYL, WOW THIS IS FANTASTIC! I LOVE HER HAIR!! THIS CARD IS BEAUTIFUL! Your card is stamptacular ( did I just make up a new word!) Hee Hee I loooove this, and really great to see one of Annie's new images for Kimmie! Woww!!! Amazing card and she is beautiful!!! Black hair like yours on the stamp is something I dream to can do. Thank you for your inspiration. Lovin' these details, printed bling flourish, sewn ribbon, wooden heart ...omg, you rocked this !! Gorgeous card Cheryl!!! I love all of the little touches!! and your colouring is beautiful!! Gorgeous card! I love your coloring and the ribbon is a great touch! I just love when you add stickles to the edges! Awesome card. Love the way you colored her. And every little detail.... very eyecatching!! !